Bar Risa is an ideal venue to catch up with friends. They offer a wide choice of drinks alongside a food menu of classic British dishes. 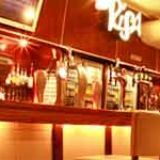 Bar Risa show all the latest sporting fixtures and host regular DJs or live music. Do you work at Bar Risa? What did you think of Bar Risa? They have some of the wonderful bands here, i really enjoy it. It is a great place to meet new people with nearly everyone being very chatty and polite. I've been here several times with the hope it will improve but the service is disgraceful. If you know it's going to be a busy night or a student night don't bother going it takes at least 20 minutes to get served a drink when it's busy and when you finally order a drink it takes another five minutes to pour one spirit. Even though there are several bars it is pointless. One night they only opened one bar and everyone was waiting a ridiculous length of time to buy a drink. Simply the best club in the whole of the west midlands! 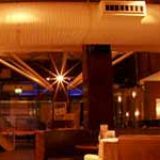 Whatever your inclination - be it relaxing, larging it or dancing the night away - this bar caters for your every whim. Bar Risa has the most impressive patio area on Broad Street. It’s a sloping decked terrace with a veritable jungle of foliage and shrubbery (there’s even a tree growing out the wood) and all this sits under big red umbrellas. There’s a VIP-style roped-off entrance and inside it’s a spacious venue with shiny brown vinyl floor and white ceiling. The colour scheme is creams, beiges and chocolate browns and in the middle of the room you’ve got a section of rather cool-looking white leather armchairs - the sort of thing you’d love in your own front room. Elsewhere are banquettes in low leather-panelled booths and there’s a DJ booth right at the end. It’s all pretty chic and sleek. There’s an upstairs room too and all in all it’s a massive entertainment complex with six rooms and seven bars packing in a potential two thousand people. The chill out room is worth a look and there’s a club too for the party animals. You get a mix of people in here and it would be hard to feel out place, but mainly its filled with the dressed up party crowd straining at the leash for a good time. And this is what Bar Risa is about, having a good time. Don't come here if you want to pose. Do come here if you want to dance like a loon, flirt and get merry with the bar staff. Their DJs play a mix of music on the different floors so you're bound to find something that your feet can keep time with. 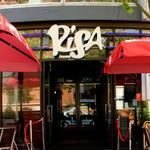 If you don't think clubbing is your thing, or that you put those days behind you, go to Bar Risa and have your mind changed. It’s that kind of place. You’ve got a regular range of beers on tap including Kronenbourg, Stella, Foster’s, Guinness, Strongbow and Carlsberg for around £1.90 a pint. In bottles there’s Corona, Cobra, Stella, Budweiser and Beck’s for £1.95 a bottle. Cocktails are £5.50 each there are all the classics including Mojito, White Russian and Cosmopolitan. There are half a dozen bottles of reds and white respectively. The cheapest is a Moondarra Shiraz for just £8.95 a bottle and and a Montana Sauvignon Blanc is £14.95. There are salads, pastas, sandwiches and burgers to eat. A sausage and mash is £4.40 and you can get a fish pie for £5.45. For the sweet-toothed a chocolate puddle pudding is £3.